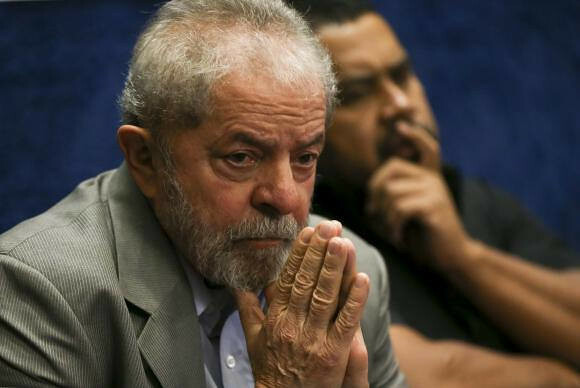 The traditional media coverage that has been outlined in the lead up to the trial of former president Luiz Inácio Lula da Silva confirms that conservative tendency of mass communication companies to criminalize the Worker's Party political figure. This is the interpretation of the collective Intervozes, which works for the democratization of the media in the country. The collective's executive secretary, Bia Barbosa, points out that the problem is also extended to the treatment given by the media to the Workers' Party (PT) in general. "It is an orchestrated behavior aiming at the criminalization, in the case of the charges against former president Lula, and for PT's former governors, at discredit and constant, systematic attacks against these administrations for the public opinion", she says. She also highlights that the current scenario of coverage can be compared to what was observed in the country in other decisive moments of the national politics. An example is what happened in March, 2016, when the former president was coercively taken by the Federal police during the Operation Aletheia to testify. A survey carried out at the time for Intervozes demonstrated that, during Jornal Nacional, at Rede Globo, which is the most well rated news show in the country, in 1h20min dedicated to the theme, Lula's defense team had only 13 minutes for clarification. Such practice is routine, according to Bia Barbosa. "It is almost natural to see this behavior now, in the lead up to this trial because, in fact, it only ratifies an editorial line that has been implemented for a long time," she claims. The researcher Manoel Marcondes Neto, who presides the Institutional Communication Observatory from the Rio de Janeiro State University (Uerj), acutely follows the national political game. He highlights that the preference from the media in focusing on critiques about Lula and PT is linked to the electoral capability of the politician in the country's current moment. "Since Lula is the first in the polls because he has a great recall - and a positive one, the largest and best of the country in the last years -, the media is attacking him and installed a war," he comments. Marcondes also analyzes that the traditional media's behavior would not be tuned with the way these companies sell themselves to viewers, readers, listeners and netizens. "There are those who do not have any space, who will never have a voice", he adds. Lula's trial is to happen next Wednesday (24), in Porto Alegre (RS). All the information on the case and the complete coverage you can find in the special "Election without Lula is Fraud". ¿Por qué los movimientos populares apoyan al ex presidente Lula?